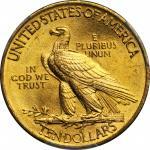 Lot:2074 1911 Indian Eagle. MS-65 (PCGS). CAC. 1911 Indian Eagle. MS-65 (PCGS). 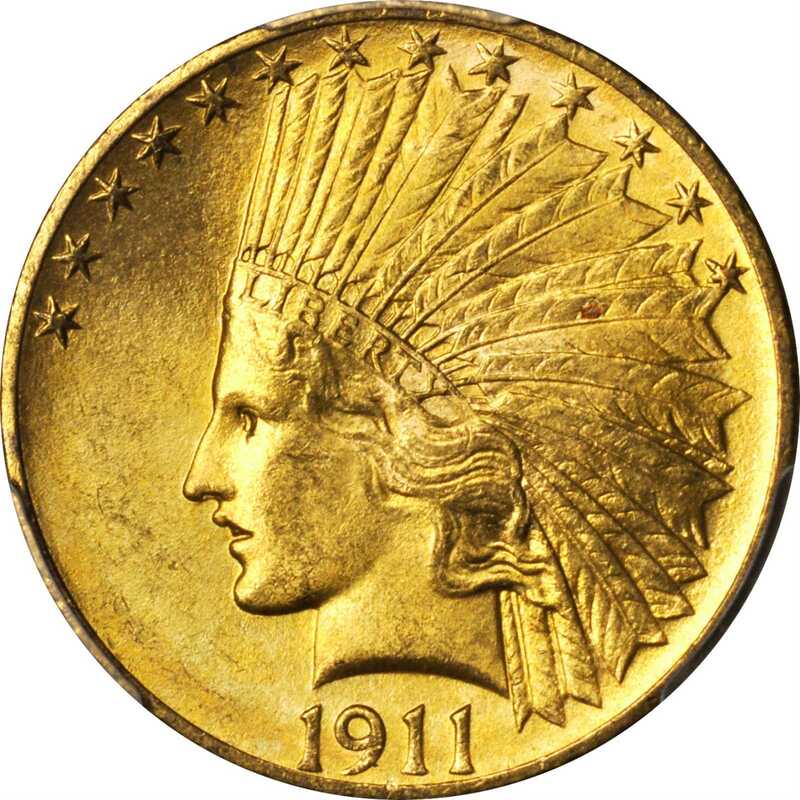 CAC.A simply outstanding Gem from the conditionally challenging Indian eagle series of 1907 to 1933. Highly lustrous with a frosty texture from the dies, the strike also imparted razor sharp detail to all design elements. Bathed in richly original orange-gold patina, there is much to recommend this coin to the quality conscious gold type or date collector. Although not as plentiful as the 1932 or 1926, the 1911 still ranks among the most available Indian eagles in Mint State. Examples grading MS-60 to MS-66 are particularly popular for Uncirculated type purposes, although at the uppermost reaches of this range the 1911 is a noteworthy condition rarity when viewed in the wider context of U.S. numismatics. This is one of the nicest examples that we have handled in recent memory, and it is sure to sell for a strong premium.From the Fairmont Collection.